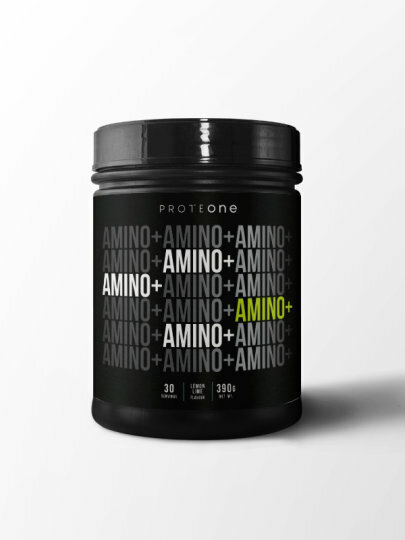 AMINO + is a unique blend of amino acids, 5 vitamins and mixtures of green tea that promotes regeneration and muscle mass growth and delivers energy to you! 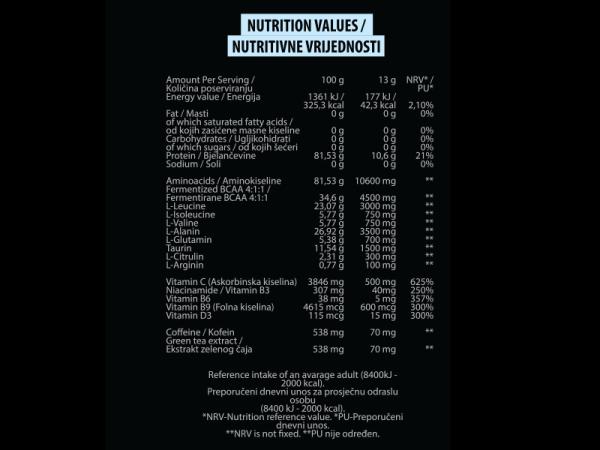 AMINO + also contains 5 vitamins - Vitamin C, Vitamin B3, B6, B9 and Vitamin D3. Vitamins are equally contained to receive the required daily dose and thus fill their deficit that may arise during demanding training or stress. L-alanine, L-glutamine, L-taurine, inulin, L-citrulin, acid regulator: citric acid, malic acid, lutein, lutein, natural flavor, lutein, lutein, natural flavor, L-arginine, beta alanine, vitamin C (ascorbic acid), sweetener: sucralose, dyestuff: betakaroten, brilliant blue, thickener, caffeine anhydrous, vitamin B3 (niacinamide), green coffee extract, green tea extract, vitamin B6 (pyridoxine hydrochloride), vitamin B12 (cobalamin), vitamin B9 (folic acid), vitamin D3 (cholecalciferol). Mix the recommended dose of 13 g in 200-300 ml of water in the shaker. Take 1-2 times a day.